After being down in Gulf Shores for work all yesterday, it was so nice to be able to lounge a little on the beach this morning before another day of appointments. 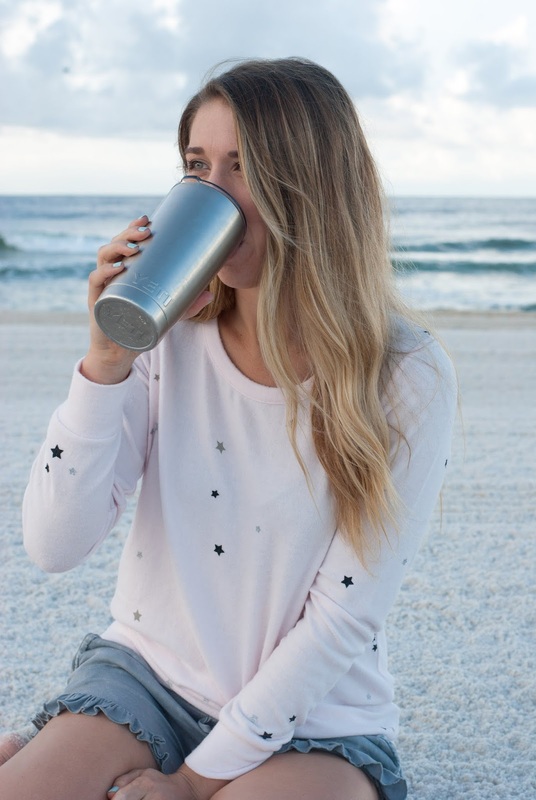 This adorable Chaser sweatshirt and shorts kept me warm and comfy, even with sand all over me. I can't wait to rock these pieces more as the temperatures drop. Happy Thursday friends!